We have already covered ratio spreads in another article, but here we wish to discuss a variation of the concept to demonstrate how these trade setups can not only be safe, but given the right conditions, provide a huge return on investment. We have a bearish outlook for the next couple of months on a popular stock index and wish to take advantage of that using put options. 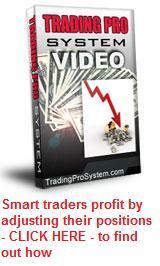 The index is currently trading around 4400 and in this ratio spread example, we decide to do the following. These all have an expiration date at least 60 days out. You can see from the above example, that we have bought and sold the same amount of contracts in total, but since they are at different strike prices, they still qualify as a "ratio spread". The beauty of the above example is that your overall debit would only be around $600 plus brokerage, but with a potential profit of $9,400 if the market closes at 4000 on option expiration date. That is over 1500 percent return on investment! From the above graph it can been seen that in our ratio spread example, the position will make at least some profit if the index closes anywhere between 3900 and 4200, while the maximum profit of $9,400 is achieved at the 4000 level. 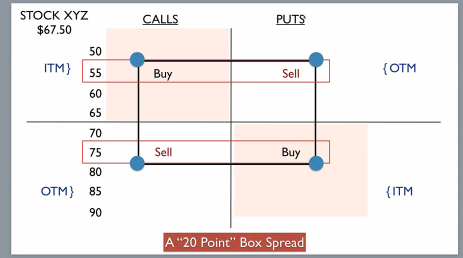 In summary, ratio spreads can take different forms in terms of how many of each position you buy and sell - i.e. the ratio of 'buy' vs 'sell' positions and their respective strike prices. 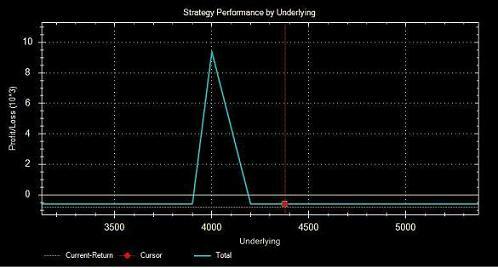 If you have a good piece of software that will quickly analyze the risk vs reward ratios as a graph, you can easily assess the value of various combinations to determine the optimal choice for whatever overall option trading strategy you have in mind. A trade with this potential profit level and with such minimum outlay can also be used as a hedge against other open trades that may have a bullish outlook. If the current market is uncertain and bad news is floating about (a la 'global financial crisis' or 'recession') then it could also be an excellent way to protect yourself against the risk of falling stocks. You could even call it a form of 'insurance'. It's all about money management - how you have allocated your overall capital and how much you risk on any one trade.